Creativity. It’s a big word. And with so many of us working, thinking and being creative in our day to day lives, we decided to ask our followers what creativity means to them. 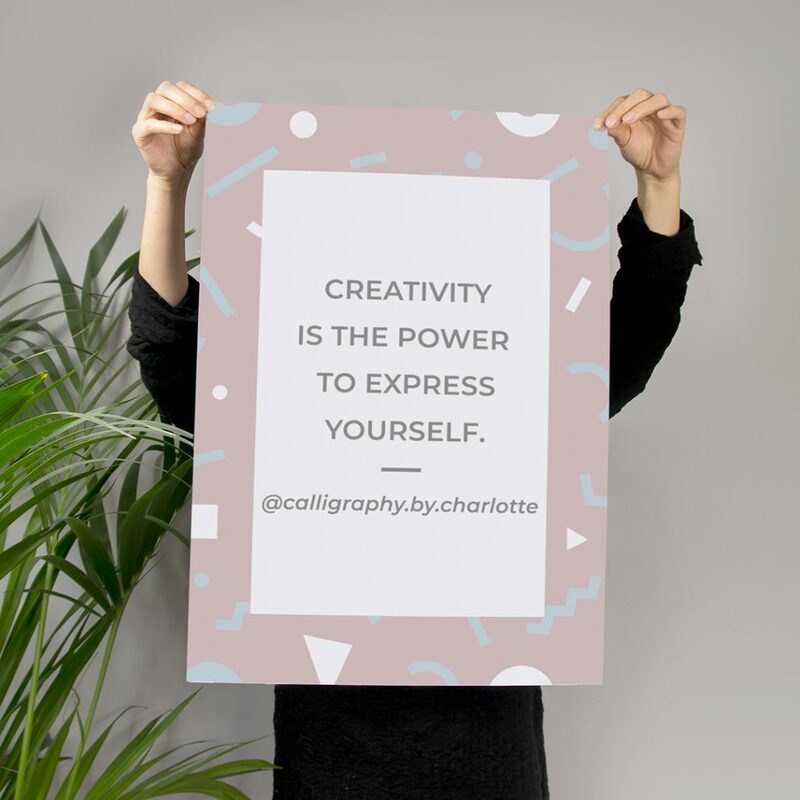 We received some pretty inspiring responses, so, if you’re feeling a little sapped of your creativy, or you need a boost of inspiration, take a look at our five competition winners and discover what creativity means to them. Got a different idea about what creativity means? We’d love to hear it! Looking for top quality print, tips, advice and more? 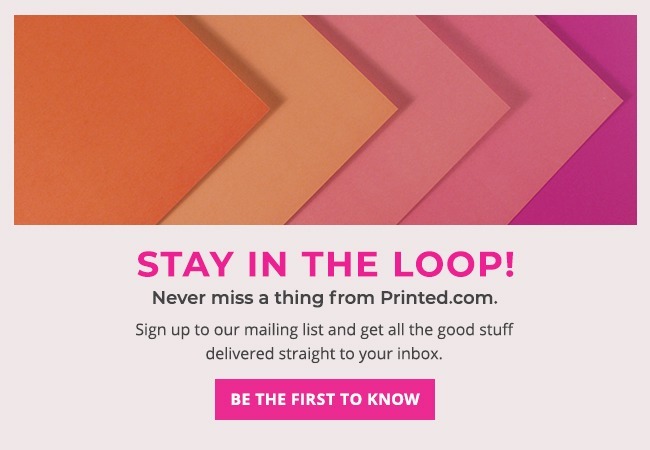 Check out Printed.com for all you need to boost your creative business. 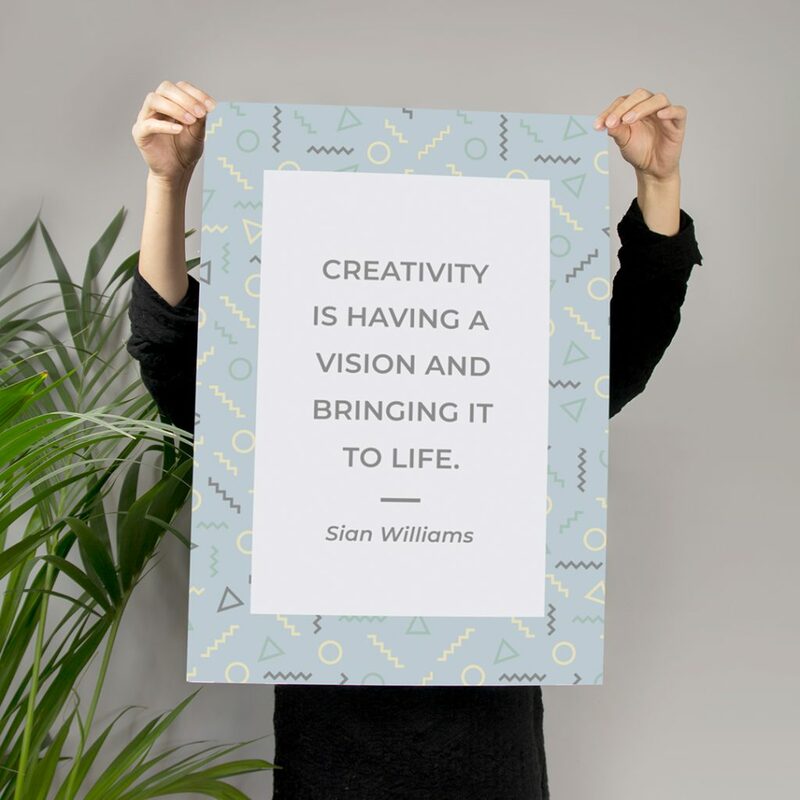 We love the idea that creativity is a vision – it’s up to you to bring it to life! Nice one, Sian! Trusting your instincts is crucial to creativity… we think Lizzie has it nailed with this quote. Expressing yourself helps with self identity, character and personality building. What better way to express yourself than with creativity? In the stroke of a pen, a doodle on screen or a powerful word, movement or idea, we can all express ourselves. Thanks for reminding us, Charlotte! We love, love LOVE, this from Bonnie Bright Designs. We couldn’t agree more that creativity is an adventure, and we at Printed.com are lucky enough to be taken on each and every adventure that our customers take! Which is your favourite? Let us know in the comments! And, for your chance to get involved, follow us on social media! Each winning entry to this competition bagged themselves 1,000 Printed Points, which can be used for free print, Amazon.co.uk vouchers, M&S Gift vouchers and more!